Prestige dining room set comes in brown lacquer and has everything you need for the dining collection in your home. Large pedestal table includes optional extension in case if you are hosting a larger company. High back cushioned seat and back chairs are upholstered in cream leather and completed by wood brown legs. 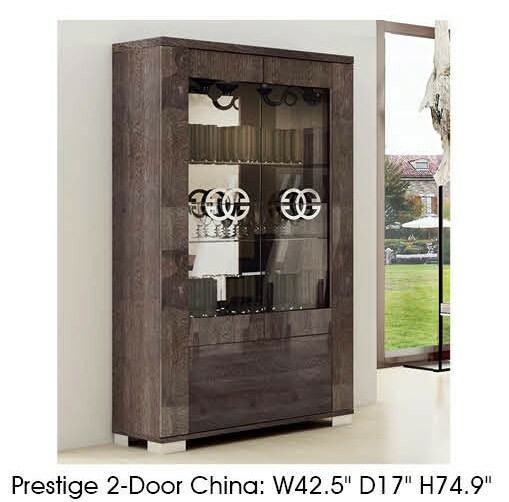 In addition you can also get china cabinet and buffet with square silver legs, large drawers and exclusive handles.